Top: Jack Brisco, Terry Funk, and Harley Race. 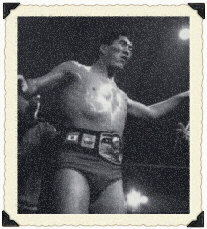 Middle: Giant Baba and Dusty Rhodes. 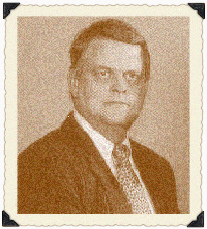 These eight men were all NWA World Champions during the Mid-Atlantic years (the period of time Jim Crockett Promotions named their programs and events "Mid-Atlantic Championship Wrestling.") 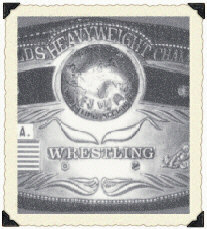 Ironically, these years coincided exactly with the life of the "domed-globe" version of the NWA world championship belt: 1973-1986. 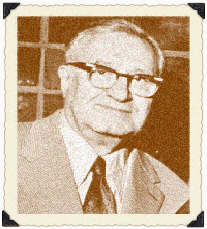 These were the only eight men to hold the domed globe version of the NWA belt for the territorial NWA, which existed from 1948 until 1986. 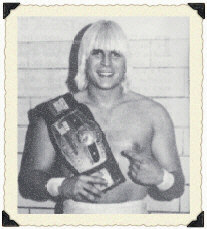 In 1986, NWA member Jim Crockett, Jr. effectively took control of booking the NWA champion, awarding the new "big gold" version of the belt to Ric Flair in February of that year. The territorial system had basically died, eventually replaced by two major companies, Crockett's NWA and the WWF, both of which were at that point promoting nationally. 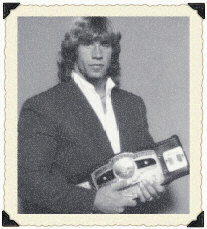 The modern day NWA (as opposed to the territorial NWA of old) resurfaced when some of the remaining members of the old NWA board (and some additional new members as well) reclaimed control of the title as well as the belt which Ric Flair had tried to take with him to the WWF in 1991. 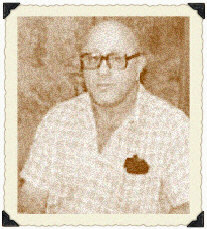 The title was dormant until 1992, when Bill Watts and WCW, as members of the NWA, brought it back, represented by the "big gold" version of the belt. 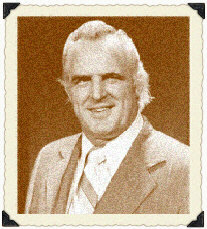 In 1993, WCW withdrew from the NWA, but retained ownership of the big gold belt. The remaining board members of the NWA, now made up of small independent promoters, brought back the likeness of the original domed-globe design and the title was re-established in ECW in 1994, received national exposure again in the mid-2000s in TNA, and continues to exist on much smaller scale today. 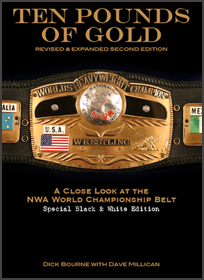 For a detailed look at the domed-globe version of the NWA world heavyweight championship belt and the eight men who wore it, check out the book "Ten Pounds of Gold" on sale here or at Amazon.com. 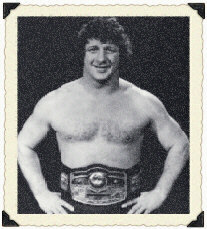 Notes: Despite holding the title well into 1973, Dory Funk Jr. is not included in the list of men to hold the NWA World title during the Mid-Atlantic Period (1973-1986) since that period began in September of 1973 when the Eastern title was renamed the Mid-Atlantic title and a new belt awarded. 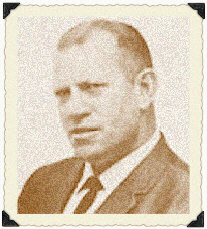 Dory lost the NWA title to Harley Race in May of 1973. 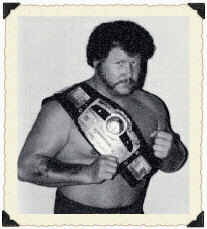 1 While Jack Brisco is usually remembered as the first NWA champion to wear the domed-globe version of the belt, it was actually Harley Race. 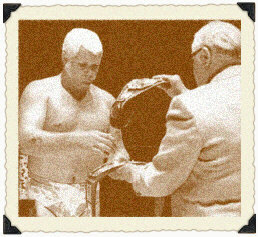 Race was presented the new domed-globe version of the title belt by NWA President Sam Muchnick in the ring moments before his title defense against Jack Brisco on 7/20/73 in Houston. 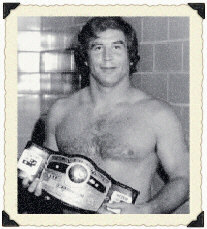 Race is technically the first person to wear and defend that version of the belt, though losing it less than an hour later to Brisco that same night. 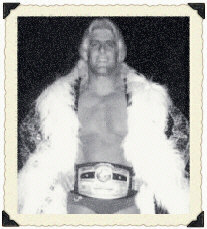 2 The New Zealand and Singapore title changes between Race and Flair were not officially recognized until many years later. Their recognition here and elsewhere is occasionally a source for debate on the subject. For a further look at why these changes are recognized here, read I Still Owe Harley Race a Beer.